People in the national capital woke up to a cold morning today as the minimum temperature was recorded at five degrees Celsius, two notches below the season's average. 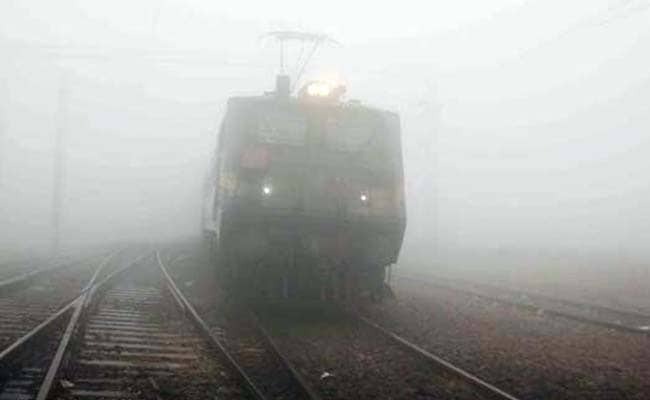 As dense fog and cold wave conditions continued to engulf the city, several flights and trains coming in and departing from Delhi were also delayed today morning causing inconvenience to passengers. As many as 14 trains were delayed by over three hours. The list of delayed trains included Barauni-New Delhi Vaishali Express, Mahabodhi Express, Poorva Express, Shiv Ganga Express. Forecast for today is clear skies through the day with possibility of haze or smoke, and the maximum temperature is likely to settle at 21 degrees Celsius. The minimum temperature on Saturday might dip to three degrees Celsius, said a MeT department official. In addition to this, the air quality in the city slipped to 'poor' category. 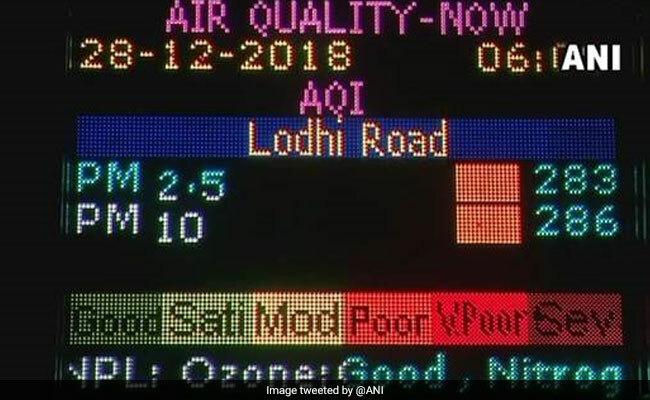 According to the Air Quality Index (AQI) data, the major pollutants PM 2.5 and PM 10 in 'Poor' category in Lodhi Road area today. On Thursday, the minimum temperature was recorded at 3.4 degrees Celsius, making it the coldest December day in the national capital since 2014. The maximum temperature was recorded at 21.3 degrees Celsius.